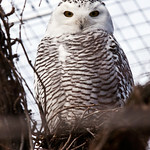 This large owl has white plumage with occasional scattered dark spots. Females possess more colored spots than males, often arranged in regular bands. The snowy owl can be found throughout the icy habitats encircling the North Pole, including Alaska, Greenland, Canada, Scandinavia and Russia. During the winter, they will venture further south in search of food. Common. 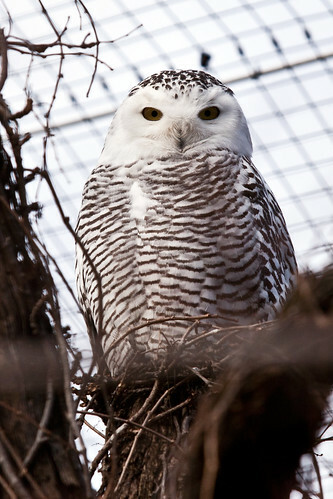 Lincoln Park Zoo cooperatively manages snowy owl populations with other institutions in the Association of Zoos and Aquariums. This cold-weather species typically inhabits open tundra and meadows. This flying predator feeds predominantly on lemmings and mice, although rabbits, birds and fish are also part of its diet. 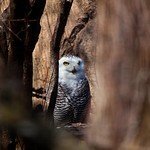 Most owls hunt at night, but the snowy owl is diurnal, displaying the bulk of its activity during the day. The species can locate prey visually or through its sharp sense of hearing. Snowy owl females lay their eggs in simple bowls scraped into the ground. Both parents cooperate in bringing food to the chicks, and they also protect their young by dive-bombing predators that approach the nesting site. The species' strong talons and sharp beak enable it to firmly grasp and tear the mammals and small birds it catches. The feathers the snowy owl uses to fly are serrated at their tips. This muffles the noise the bird makes when it flaps its wings, enabling it to sneak up on prey quietly. 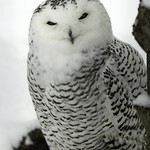 The snowy owl's sense of hearing is so acute that it can locate mammals under heavy vegetation or snow. The bird's ears are placed asymmetrically on its head, enabling it to use the differences between each ear's perception of sound to home in on prey. 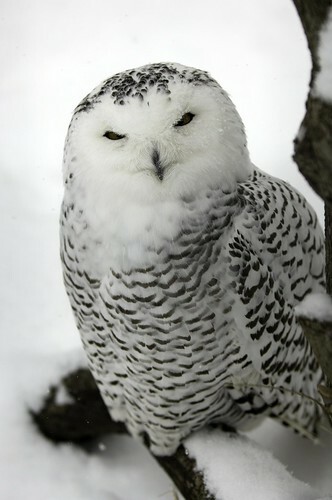 The snowy owl's dense coat of feathers extends all the way to its toes to provide insulation from the cold. Given the temperatures in Chicago of late, it’s understandable to wish for a spot of snow. 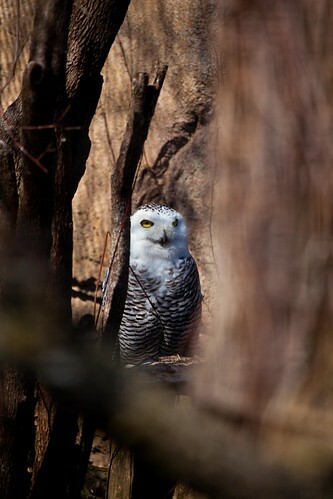 Happily, Regenstein Birds of Prey Exhibit welcomed just that with two snowy owl chicks in mid-June.